The time is getting closer and closer for our brand new Charlotte Pike location to open it’s doors! We’re so excited to show you the new restaurant, which has more space, better parking, a new bar and large patio, perfect for enjoying this warm, delightful weather while you kick back with friends and family. But as we open the new location, we will be shutting the doors on our very first Las Palmas location on June 6th 2016, which opened in Nashville 26 years ago. It was our first home in Music City. The first place where we served customers who are still regulars, and now bring in their spouses, children and grandchildren in to dine with us. We’ve witnessed so many celebrations, little league wins, birthdays and even engagements! 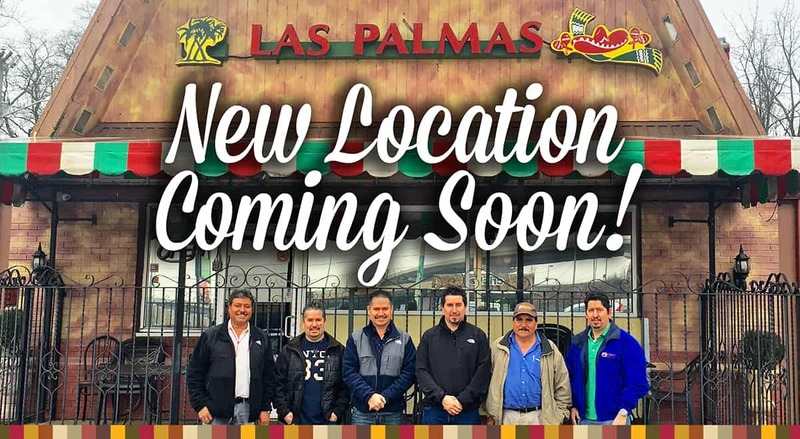 We celebrate this chapter of Las Palmas and the dedicated support of our customers with a wonderful new location where we can continue to build on these memories and traditions for years to come. Unfortunately, our last day to serve customers at our first Charlotte Pike location (5511 Charlotte Pike) will take place on June 5th, before the opening of the new one (5821 Charlotte Pike). We are very disappointed that this is happening and want to extend our deepest apologies to our Charlotte Pike customers for the inconvenience. We would also like to offer you a warm invitation to dine at one of our other 9 locations in Nashville while we put the finishing touches on the new restaurant. Please visit http://laspalmasnashville.com/locations/ for a list of all of our locations.